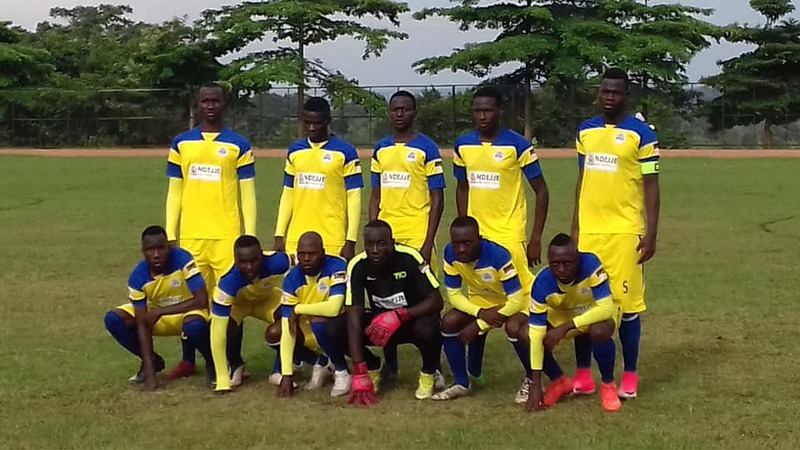 URA FC were held to a fifth consecutive goalless draw in the StarTimes Uganda Premier League on Tuesday afternoon. Having fired blanks in games against SC Villa, Nyamityobora, Bul and Police before Tuesday’s encounter with Tooro United at Namboole, the Tax Collectors were hoping to go at least one better but it would not be the case. In a dull encounter, both sides started slowly with less chances created in the first half although the visitors should have led when Simon Sserunkuma beat his marker but there was no one to connect. After the break, URA head coach-Sam Ssimbwa introduced Vitalis Tabu and Mathew Tayo for the ineffective Shafik Kagimu and Robert Mukongotya respectively. URA started to dominate proceedings with Moses Seruyidde, Tabu and Joachim Ojera creating havoc for the Tooro United defence with the visitors resorting to counter attacking football. At the other end, Sserunkuma beat his marker but his cross into the area was met by Allan Kayiwa but his low shot was casually dealt with by James Alitho in the Tax Collectors’ goal. Kayiwa also volleyed over the bar from another Sserunkuma cross down the right. Wasswa Bbosa withdrew the former SC Villa winger for Davis Ssali before the introduction of Baker Buyala also came on as the search for at least a goal intensified. There was a penalty appeal waved away when Ojera seemed to have been fouled in the area but play continued. Tooro United remains 12th on the log with 7 points while URA leapfrogs Express FC to move to 8th with 13 points. 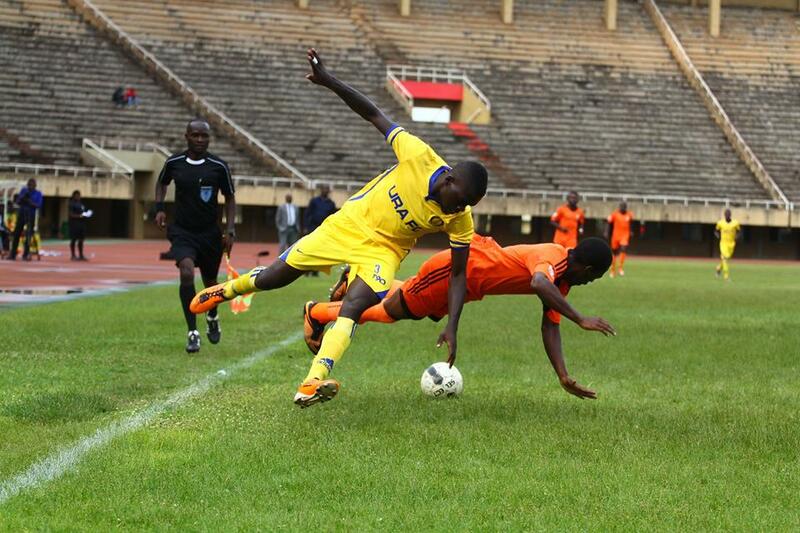 At Bombo, on a water logged surface, Ndejje University and Kirinya JSS also shared spoils in a 0-0 draw. In the first half, both sides missed opportunities to take the lead with Sam Matovu and Noel Nasasira the guilty pair for the home side while Faizal Muwawu, Fred Amaku and league top scorer-Joel Madondo could not hit the back of the net from promising positions for Kirinya. There was drama during halftime as Ndejje’s head coach-Reymond Komakech attacked a section of home fans who had hurled insults towards him and his technical bench during the first 45 minutes. Two police officers and a volleyball coach Johnson Kawenyera rushed in to salvage the situation as they refrained a visibly angry Komackech from the wrath of the fans who are demanding consistent positive results. Despite several changes by either side, none could find the all elusive breakthrough and settled for a 0-0 draw in the end. The draw was the first for Ndejje in the leagus this season and it elevates them into 11th on the table with 8 points from 9 games. For Kirinya, they remain 10th on the log with 12 points. The StarTimes Uganda Premier League resumes on Thursday afternoon with SC Villa hosting Maroons FC at Namboole.